The E. coli outbreak linked to tainted romaine lettuce has grown and sickened 84 people from 19 states, U.S. health officials said Wednesday. PHOENIX (AP) — The E. coli outbreak linked to tainted romaine lettuce has grown and sickened 84 people from 19 states, U.S. health officials said Wednesday. At least another 31 cases are believed to be tied to romaine lettuce grown in Yuma, Arizona, the U.S. Centers for Disease Control said. Those infected range in age from 1 to 88 and more than half of are female. Forty-two people have been hospitalized, including nine battling kidney failure. Symptoms of E. coli infection include diarrhea, severe stomach cramps and vomiting, the agency said. The illnesses started between March 13 and April 12, according to agency officials. Pennsylvania has had the most, with 18 cases, followed by California with 13 and 10 in Idaho. The agency last week issued a warning against eating all romaine lettuce. An investigation is being conducted by the agency and the U.S. Food and Drug Administration. FDA spokesman Peter Cassell says a recall cannot be issued because no common supplier or grower has been found. Agency workers are in Yuma sifting through paperwork showing how romaine lettuce was handled and shipped. "We're on the paper trail, not onto the sampling yet," Cassell said. Lettuce samples will be tested after the workers find evidence of a shared farm or supplier, he said. Restaurants and supermarkets were also instructed to dispose of romaine lettuce if it came from Yuma or its origin was unknown. Sandwich shop Panera Bread, which has more than, 2,000 U.S. locations, said on its website that all romaine from Yuma was removed when the first warning was issued. The chain says its cafes are now using romaine lettuce harvested in California. 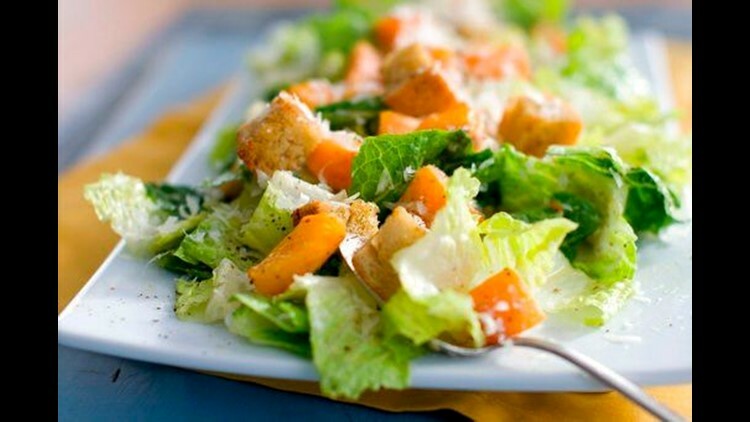 Wildflower Bread Company, an Arizona restaurant chain, said all of its romaine lettuce comes from California, which has no connection to the outbreak. Cassell said the outbreak will be declared over when health officials are sure romaine lettuce from Yuma is no longer on the market. The Yuma region about 185 miles (298 kilometers) southwest of Phoenix and close to the California border is referred to as the country's "winter vegetable capital." It is known for its agriculture and often revels in it with events like a lettuce festival. According to the Yuma Fresh Vegetable Association, the outbreak came as the harvest of romaine was about to end. Steve Alameda, the group's president, said growers haven't suffered significant economic losses partly because of the timing of the outbreak. Growers in Yuma typically plant romaine lettuce between September and January. The peak of the harvest season runs from mid-November until the beginning of April. "At this point, there wasn't that much romaine left here," Alameda said. He said it's likely more affecting the parent companies of local growers — shippers and processors who make chopped, packaged salads.